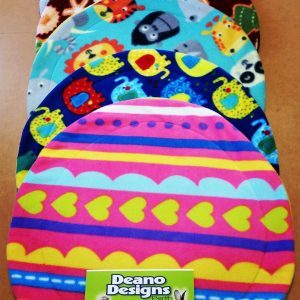 Call them Pee Pads, Potty Pads, or Soaker pads – they all do the same job…. 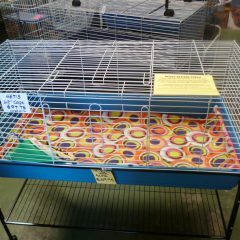 they soak up pee! 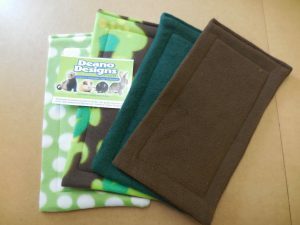 The Soaker Pad range made here at Deano Designs Perth enhances and works in unison with the Fleece Cage Liners, that way you can easily wash the Soaker Pads more often and the main Fleece Cage Liner will stay cleaner for longer. 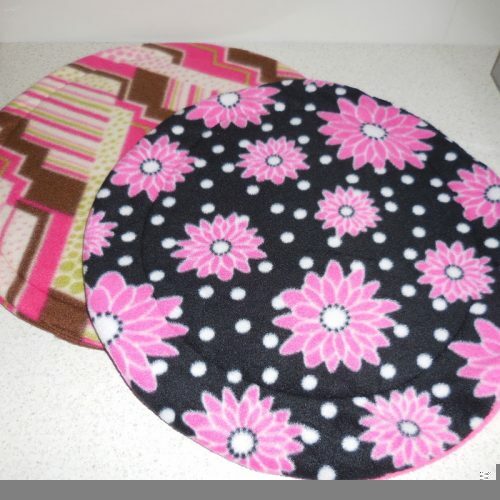 Soaker Pads are ideal for areas in your pets home which gets more use than any other spots – ie the toilet corner, under cubbies, hidey houses and corner caves, or under drippy or leaky water bottles – the Soaker Pad gets wet, keeping the main liner dry. Or on hot summer days to help keep your pets cool, place a frozen water bottle on top of a Soaker Pad to absorb the condensation. 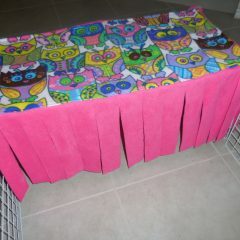 Soaker Pads are made the same as my Fleece Cage Liners, just smaller. 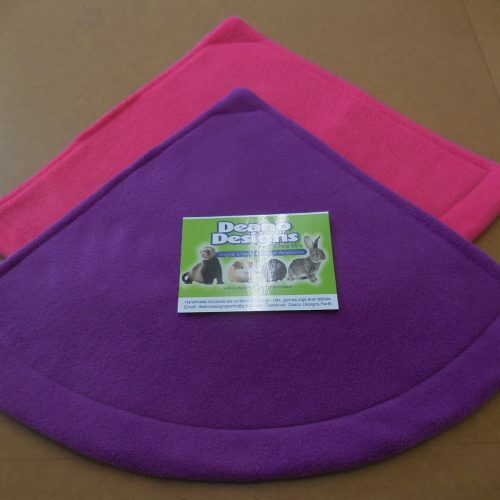 Each one is made with quality polar fleece on the outside which wicks away the moisture from your pets. 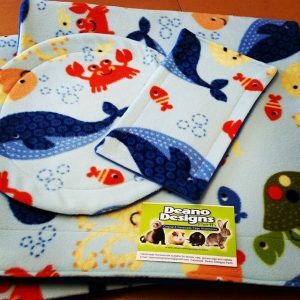 The Soaker Pads contain a non-toxic, highly absorbent core on the inside which absorbs and holds the liquids and keeps your pets comfortable and dry. 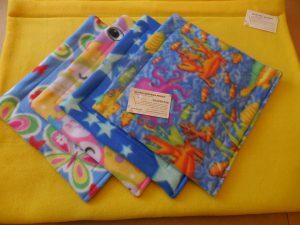 All Soaker Pads are machine washable and dryer safe. Add NO FABRIC SOFTENER when washing. The soaker pads have their own discount schedule. 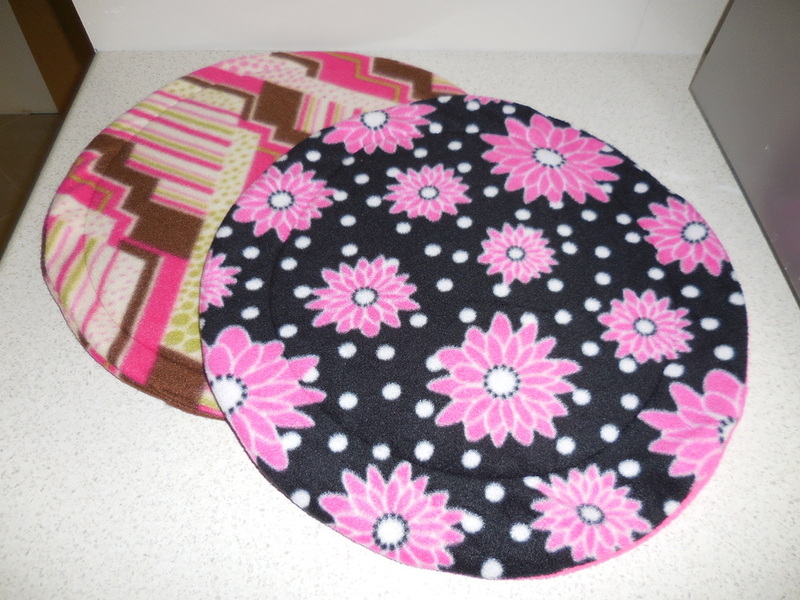 If you buy TWO of the single soaker pads, the 10% discount will apply. If you buy a SET instead, these are already at a discounted total price, so no further discounts will apply once you are inside the checkout. All sets are NETT pricing. Best of all – you can have your soaker pads made to match your fleece cage liners! 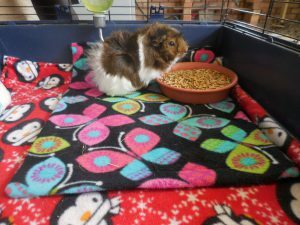 So you have your new fleece bedding, now what? 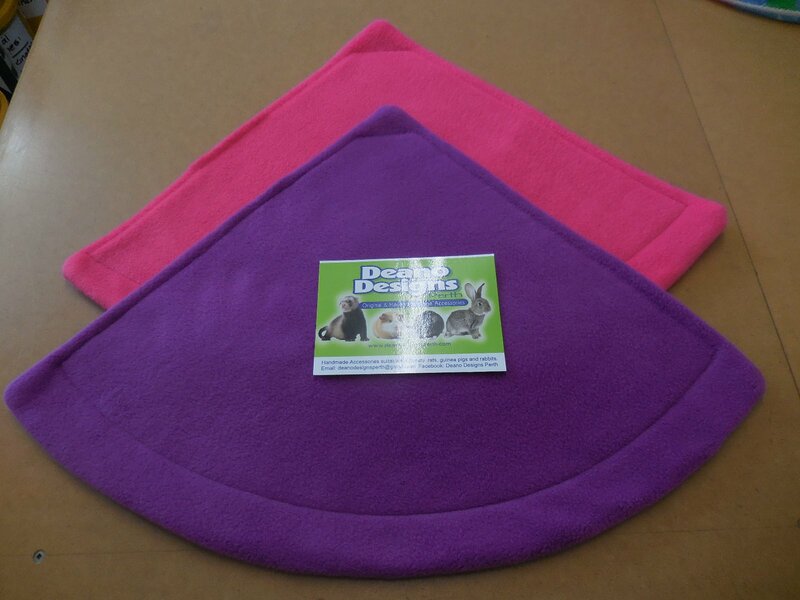 To allow Fleece Liners to do the job we intend it to do and draw the liquids through it into the absorbent core in the middle - called wicking - the Fleece Liners MUST BE washed and dried AT LEAST twice before using in your pet's home. 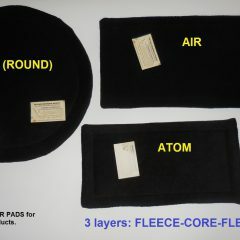 This is due to all new Fleece Fabric having a type of waterproof coating - this is why your fleece jumpers keep you dry. Please DO NOT USE Fabric Softener, as it will put the waterproof barrier back on the fabric. 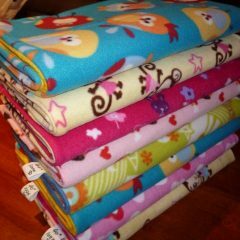 WASH: Machine or hand wash your Fleece Liner in cold or warm water with a natural liquid detergent, do not use Fabric Softener. DRYING: I highly recommend drying your Fleece Liner outside in the sun by folding them them over your clothes line and depending on your weather they will dry quite quickly. 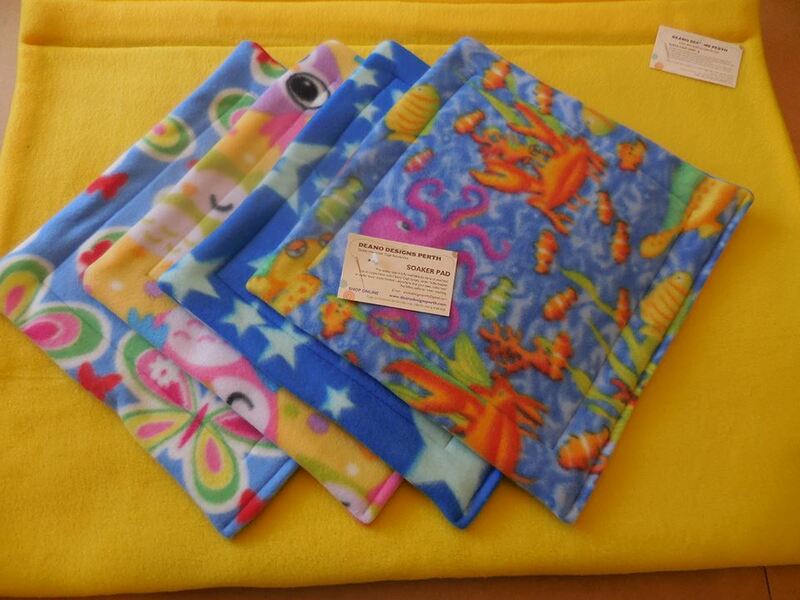 The sun is a natural bleaching solution which will keep your Fleece Liners fresh and healthy. 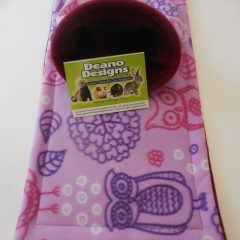 As with any washing the more water you can squeeze out after washing, the sooner your Fleece Liners will be dry. Line drying is kind to the environment, and saves on energy costs to you. 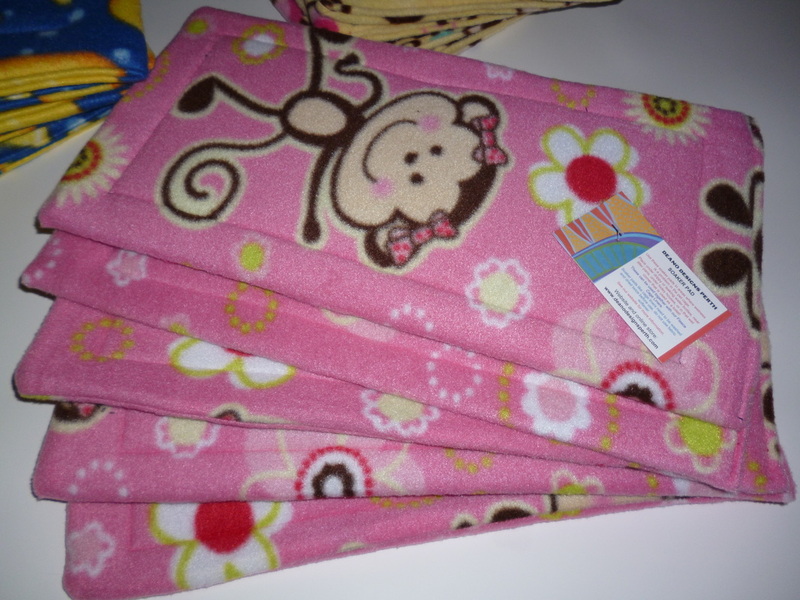 TUMBLE DRYING: Fleece Liners may be tumble dried on a low/medium heat. 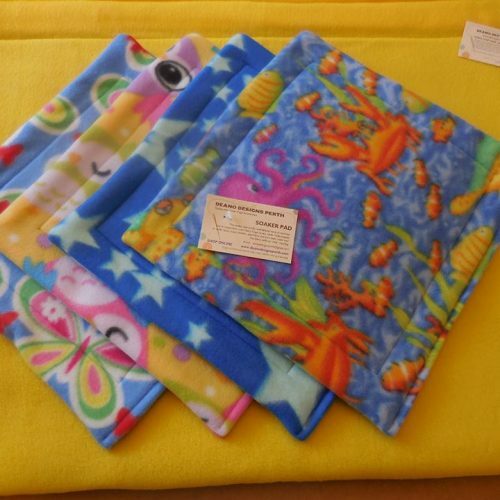 It should be noted that Fleece is a synthetic fabric and repeated tumble drying on high temperatures may reduce the lifespan of your Fleece Liners. 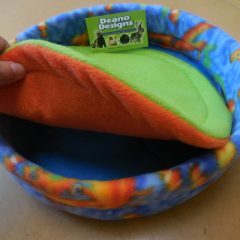 When using Fleece Liners all you are required to do for a full cage clean is roll up the soiled Fleece Liner, place in a basket, carry outside and shake the liner out. It is important to sweep, vacuum or shake off as much hair, hay and poops as possible before washing it. 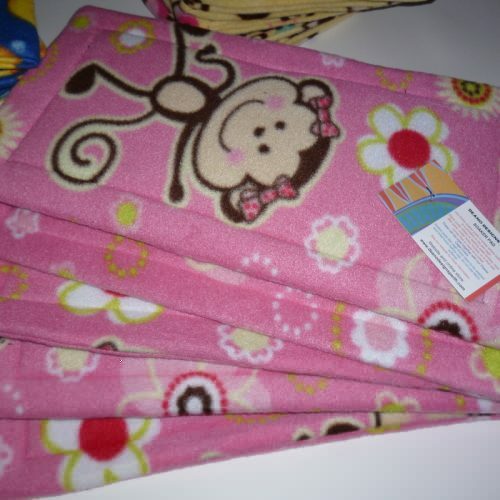 Next take your Fleece Liner to wash in the washing machine or hand wash in your laundry tub and after you can place it on your clothes line to dry or put in the dryer. Remembering that the more water you get out by spin cycle in the washing machine or squeezing, the sooner your Fleece Liner will be dry. When washing, use a natural liquid detergent to wash your Fleece Liner and add a cup of vinegar to the wash for an extra boost in cleaning and removing any possible odours. I highly recommend putting your washing machine through a extra rinse cycle after it's finished cleaning your Fleece Liner - as it will remove any loose pet hair from your machine - stopping hair from getting on any clothes in the next load of washing. Each Sleepypod Pad is made uniquely to your order. 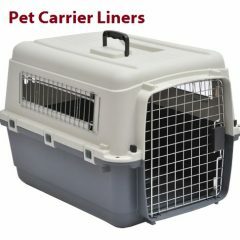 Therefore to order a SleepyPod Pad for your SleepyPod Carrier, please select from the options below. 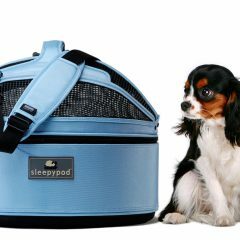 Select your choice in Sleepypod Carrier and Fleece Fabric choice. 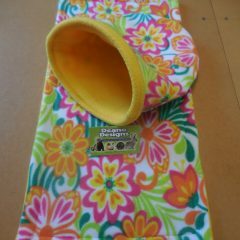 Sleepypod Carrier is not included, this is for a Soaker Pad for a Sleepypod. 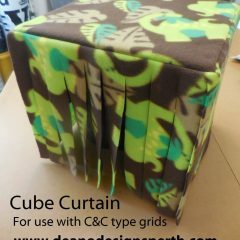 Order today and it’ll be posted to you straight away!